You know that you can! Alexey Kornya was appointed President and CEO, Chairman of the Management Board of MTS PJSC in March 2018. In 2018, Alexey was elected to the Board of the GSM International Association (GSMA). Alexey boasts a long and storied career at MTS. 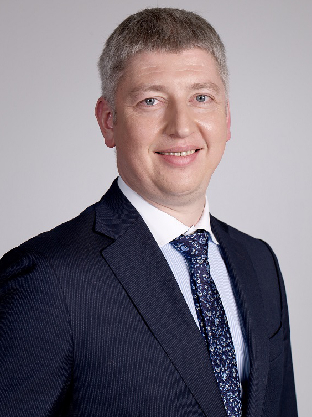 Alexey joined MTS in 2004 as a financial director of the regional division of MTS Ural. Shortly thereafter, he was promoted to Director of MTS Group for Business Planning, and in 2007, he became the Chief Financial Controller of MTS Group. 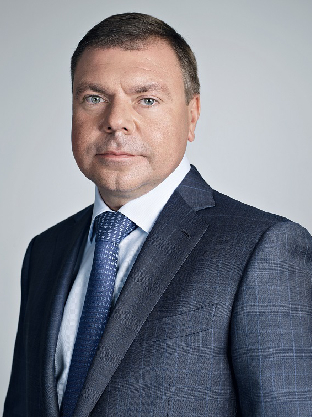 Prior to his appointment as CEO and President, Alexey held the role of Vice President for Finance, Investment, Mergers and Acquisitions of MTS PJSC since 2016. Since 2008, he has been Vice-President of Finance and Investments at MTS PJSC. In his role, Alexey oversaw the Company’s transformation from a traditional mobile communications provider to a multi-service, data-focused integrated telecommunications firm. During his tenure, MTS integrated numerous assets, including both fixed-line and mobile providers, streamlined the finance function by consolidating operations and developing a unified operating center for back-office functions and oversaw a number of benchmark financial transactions within the sector. Lately, Alexey has been instrumental in spearheading M&A transactions, which have established MTS as a major player in the burgeoning market for Internet-based products and services. Before joining MTS, Alexey worked for PricewaterhouseCoopers Audit and AIG-Brunswick Capital Management at North-West Telecom. Alexey is a member of the Corporate Governance Committee of the Board of Directors of MTS PJSC and heads the Boards of Directors of Mobile TeleSystems JLLC (“MTS Belarus”) and RTK JSC. He also serves as a member of the Supervisory Board of PrJSC VF Ukraine, a member of the Board of Directors of MTS-Bank PJSC and Sistema Capital Management Company LLC, in addition to being a member of the board of Charity Fund “Sistema”. Alexey was born in 1975. In 1998, he graduated with honors from St. Petersburg State University of Economics and Finance. 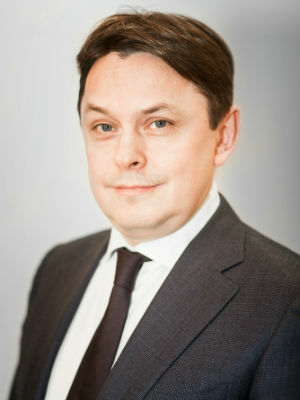 Andrey was appointed for his current position in April 2018. He has a broad experience in financial management in various industries. Before joining MTS, Andrey served as Executive Vice President, Finance and Economics for Sistema PJSFC. From 1997 to 2011, he held a number of executive positions in finance at Perekrestok JSC, AB InBev, ING BANK (EURASIA) JSC. Andrey was born in 1972. He graduated from the Financial University under the Government of the Russian Federation in 1999 and Moscow State University of Geodesy and Cartography in 1995. Prior to his appointment in April 2018 to the position of Vice President, Strategy and Development, MTS PJSC, Alexander served as Vice President, Telecommunications Assets, Sistema PJSFC, through which he served on the Board of Directors of MTS for 6 years. From September, 2012 to the end of 2015 Alexander served as Executive Vice President for the Investment Portfolio of Sistema JSFC. From 2010 to 2012 held various positions at Sistema PJSFC: Executive Vice President for Telecommunication Assets, Executive Vice President for Telecommunications Assets Development at the Core Assets Business Unit, Adviser to the President of Sitronics JSC. From 2006 to 2010, he was Vice President, Strategy and Development, at Comstar-UTS OJSC. From 2005 to 2006, he headed the Corporate Development Department and served as First Vice President – Head of Strategy and Development Complex of Sistema PJSFC. Alexander was born in 1967. In 1992, he graduated from Moscow Engineering Physics Institute as an engineer-physicist. In 1999, he received an MBA from Harvard Business School. He was appointed Vice President for Technology and IT, MTS PJSC, in April 2009. He has worked for MTS since 1996, starting his work as a Radio Relay Line Service specialist, then becoming Head of Network Operation Service, Director of Network Operation Department and Deputy Director of MTS Russia Business Unit. Andrei is the Chairman of the Board of Directors at JSC Metro-Telecom, a member of the Board of Directors of CC MTS-Turkmenistan, MGTS PJSC, NVision Group JSC and the Supervisory Board of MTS Ukraine PrJSC and a member of the Strategy Committee of MGTS PJSC. 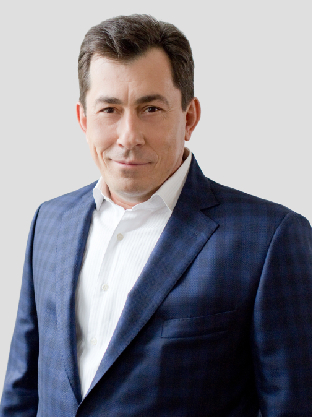 Born in 1974, he graduated from Moscow Power Engineering Institute in 1997,Between 2002 and 2004 he trained in the executive MBA program at the Academy of National Economy of the Government of the Russian Federation. 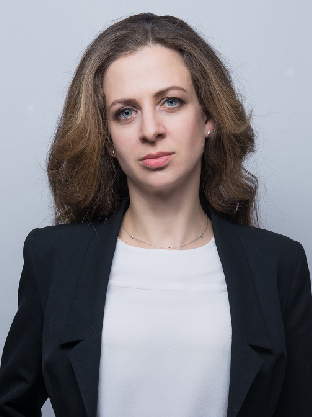 Inessa Galaktionova was appointed Vice President for Sales and Customer Service in February 2019. Prior to joining MTS, Inessa served as Deputy Chief Executive Officer at the Federal State Unitary Enterprise "Russian Post". n 2009-2013, she held the position of Chief Commercial Officer of Tele2 Russia. From 1996 to 2008, Inessa worked at Philips Russia and Central Asia, where she held various positions from marketing communications manager to CMO. Inessa was born in 1974. She graduated from Vilnius State University in 1997. Prior to his appointment in February 2019 to the position of Vice President for Digital Solutions for Home at MTS PJSC, Kirill served as Vice President for Sales and Customer Service. From 2014 to 2016, Kirill worked as Director of Moscow macroregion of MTS PJSC; from 2011 he headed MTS North-West macroregion. In 2009-2011, Kirill headed the Western Territorial Department of MTS Ukraine PrJSC. Kirill started his career in sales at British American Tobacco in 2000. From 2002 to 2007, he held several sales management positions at BBH Group in Moscow and Ukraine. He is a member of the Personnel and Remuneration Committee of the MGTS PJSC Board of Directors. Kirill was born in 1978. He graduated from Saint Petersburg State University of Economics and Finance in 2000. Maria Golyandrina was appointed Vice President, Human Resources, and member of the Management Board of MTS PJSC in December 2017. Maria began her career at MTS in 2006. In 2014, she named Director for Compensation, Benefits and HR Administration. In this capacity, she was responsible for launch and development of virtually all remuneration systems for companies within MTS Group, the establishment and improvement of personnel performance assessment and employee motivation programs. She also helped facilitate the company's organizational change and digitization strategies. Maria was born in 1986. In 2008, she graduated from State University of Management. In 2012, she completed coursework at the Institute of Experimental Economics and Finance of the Moscow State University. In 2017, Maria finished Skolkovo Moscow School of Management. Vice President for Corporate and Legal Affairs, MTS PJSC since 2008 and a Management Board member since 2007. He began work for the company in 2006 as Director of the Legal Department, before being appointed the Director of Legal Affairs. 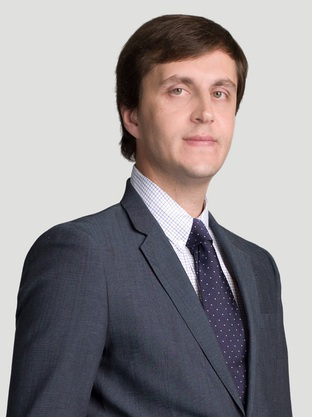 Prior to joining MTS, he worked at the Moscow-based legal firm Ibragimov, Kagan and Partners. From 1996 to 2002, he served as the Director of the Legal Service, Partner-Director, Deputy General Director and Head of the Department of Tax and Legal Advice at RSM Top Audit. From 1992 to 1996, he worked at commercial banks, heading legal services. Ruslan is a member of the Management Board, Vice President of the Russian Corporate Counsel Association (RCCA), Senior Director of the Association of Independent Directors, Chairman of the Management Board of the National Payments Council Association and Chairman of the Business Legal Support Committee of the Russian Managers Association. He is a member of the Expert Council of the State Duma Committee on Information Policy, Information Technology and Communications, the Expert Council of the State Duma Committee on Property Issues, the Expert Council on the Protection of Investments Abroad chaired by the Commissioner of the Russian President for Protecting the Rights of Entrepreneurs, the non-commercial partnerships Competition Support Association, Competition Support in the CIS countries and the All-Russian public organization Association of Russian Lawyers. 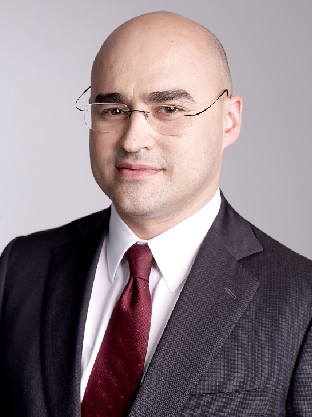 Ruslan is a member of the Corporate Governance Committee of the MTS PJSC Board of Directors, a member of the Board of Directors of Vysshaya Shkola Publishers OJSC, NIS PJSC, Prosveshcheniye Publishers JSC and Doctor Ryadom LLC. Born in 1963, he graduated from the Law Department of Lomonosov Moscow State University in 1986. From 1986 to 1989, he lectured at the Department of Law and Economics of Karaganda State University (Kazakhstan). Ruslan graduated from the Peoples' Friendship University of Russia in 1992 as a Candidate of Legal Sciences. Vyacheslav was appointed Vice President for Marketing in June 2017. Vyacheslav Nikolaev has held a number of senior positions in marketing and commercial management at MTS since he joined the Company in 2004. From 2011 to 2017, Vyacheslav worked as Director of B2B. Prior to this, he was MTS’ Group Director for Commercial Control. Vyacheslav also served as Deputy Director and then Director of MTS Russia. Before joining MTS, Vyacheslav was a supervising telecom analyst, leading the industry research teams at TRUST and Rennaissance Capital. Vyacheslav began his professional career in 1997 as a consultant at European Public Policy Advisers (UK) and J'son and Partners (Sweden). Vyacheslav was born in 1970. In 1993, he graduated from the Faculty of Computational Mathematics and Cybernetics at Lomonosov Moscow State University. 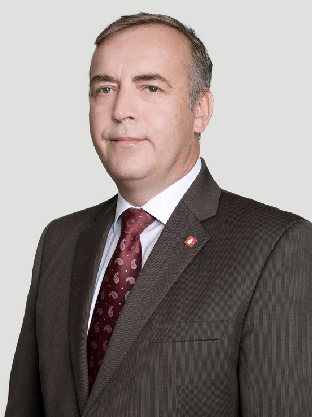 Valery was appointed Vice President, Digital Business Solutions, MTS PJSC, in September 2018. Valery joined MTS in 2008 as Director of IT. From 2010 to 2014 he served as Director of Procurement Management, from 2014 to 2018 he worked as Vice President for Procurement and Administration. Between 2006 and 2008 he worked as Director of IT and CTO at the Ukrainian telecommunications carrier Farlep-Invest (Ukraine). From 1996 he held various positions at Sovintel: communications engineer, Head of Analysis and Traffic Control Team, Director of the Network Control and Development Department, and Director of IT in 2000-2006. He is the Chairman of the Board of Directors at NVision Group JSC, a member of the Board of Directors of MGTS PJSC and the Supervisory Board of MTS Ukraine PrJSC. Between 1993 and 1996 he worked at the Directorate for Automation of Banking Technologies at JSCB Tveruniversalbank and from 1986 he worked at the Research Institute of Radio Physics. Born in 1963, he graduated with honors from Bauman Moscow State Technical University in 1986. Igor Yegorov was appointed Director of Moscow region of MTS PJSC in May 2016. Igor has worked at MTS since 2003. He has held senior positions in the MTS operations in the Irkutsk Region and the Trans-Baikal Territory and served as Marketing Director and Commercial Director for retail markets at the MTS operation in the Far East and Eastern Siberia. In October 2011 he was appointed Director of the Far East macroregion and headed it until May 2014, after which he headed the MTS business in the regions of Central Russia. 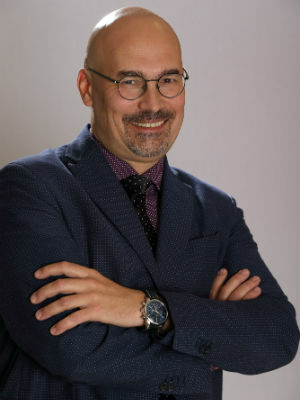 Born in Irkutsk in 1968, Igor graduated from Saint Petersburg State Electrotechnical University (LETI) and the Academy of National Economy of the Government of the Russian Federation, receiving an MBA degree.